Ceramic ball bearings have been successfully applied in the industrial field. 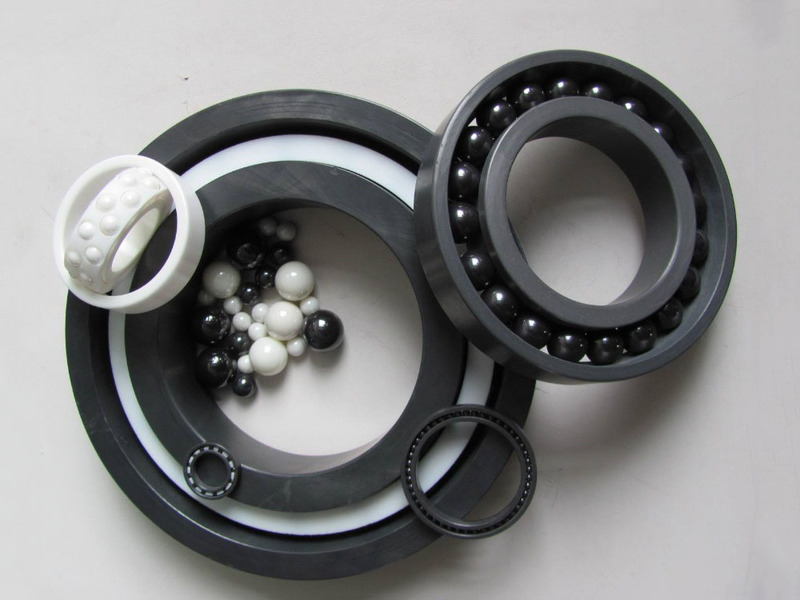 More applications are silicon nitride ceramic ball bearings. It has the advantages of high limit rotation speed, good precision retention, small starting torque, high rigidity, good dry running performance and long service life, which is very suitable for maintaining high precision and long-time operation under high speed, high temperature, corrosion and radiation conditions. Ceramic Ball Bearing are mainly used in CNC machine tools and high-speed precision machinery, such as high-speed electric spindle bearings, machine tool spindle bearings, dental drill bearings, instrumentation bearings, computer hard drive bearings. In addition, the hardness of the silicon nitride ceramic is 1 times higher than that of the bearing steel, and the elastic modulus is about 1/3 higher. Under the same load, the elastic deformation of the silicon nitride ceramic is small, so it has good running accuracy. Additionally,Hybrid ceramic bearings have been successfully applied to the spindle of high-speed machine tools, and have entered the practical stage, such as HPM ultra-precision lathes produced by companies,like Makino who has the spindle speed of 16000r/min. HSM700 produced by MIKRO of the United States. The the spindle speed of high-speed machining center reaches 42000r/min, and the cutting speed has increased by 5-10 times. In addition, hybrid ceramic bearings are also used in high-speed equipment such as electric spindles and vortex molecular pumps.